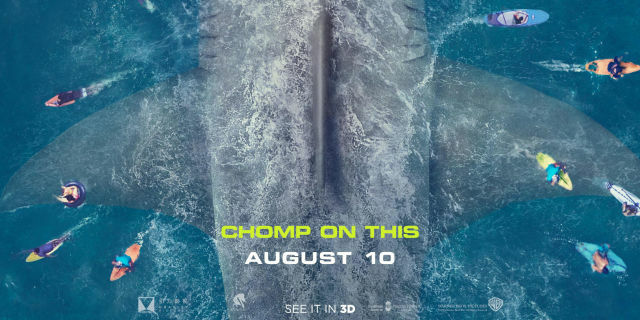 For a traditional summertime adventure movie mixing thrills and laughs, the new "giant shark" film THE MEG (2018) delivers quite an enjoyable time at the movies. I was thus intrigued when I saw Statham in the trailer for THE MEG, with another character saying of him "He looks heroic...but he's kind of got a negative attitude" as Statham tosses a "look" over his shoulder. Director Jon Turteltaub said in an interview that his aim was to make "a crowd-pleasing summer popcorn film that could blend action, spectacle, suspense and comedy" and that the key was to hit the right tone, mixing thrills and chills with laughs. Variety may have complained the film wasn't "bloody and scary enough" and that the film too strongly echoed '70s disaster movies...but for me that meant the film succeeded in hitting a sweet spot, spooky yet not too scary or gory. And yes, it does have some nice laughs scattered throughout. In a prologue we see Jonas Taylor (Statham) engaged in a deep, deep sea rescue, but not everyone makes it out alive because...something is out there and the rescue ship has to blast outta there prematurely, before they're all eaten. Fast-forward five years to the Mana One Research Station off the coast of China. A three-person exploration vehicle from the station is trapped at the bottom of the sea after an encounter with...something. The station's Zhang (Winston Chao) and Mac (Cliff Curtis) quickly fly to Thailand to beg for Jonas's help, as he's one of the only people in the world to make a successful rescue from that depth. Jonas ultimately agrees, as one of those trapped is his ex Lori (Jessica McNamee), but it's not easy. The station's medical officer, Dr. Heller (Robert Taylor of LONGMIRE), has never believed Jonas's story that there was a giant sea creature and blames him for leaving people behind during the rescue a half decade earlier. Jonas successfully helps the team, but they have awakened a 75-foot megalodon which is no longer content living at the bottom of the ocean; in short order he shows up at the research station and tries to take a chomp out of a window. 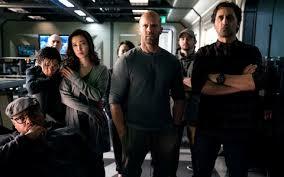 Statham is front and center through a succession of enjoyable disaster set pieces, with time out for a bit of flirtation with Suyin (Bingbing Li); he also trades amusing quips with Suyin's supersmart little girl Meiying (Sophia Cai). 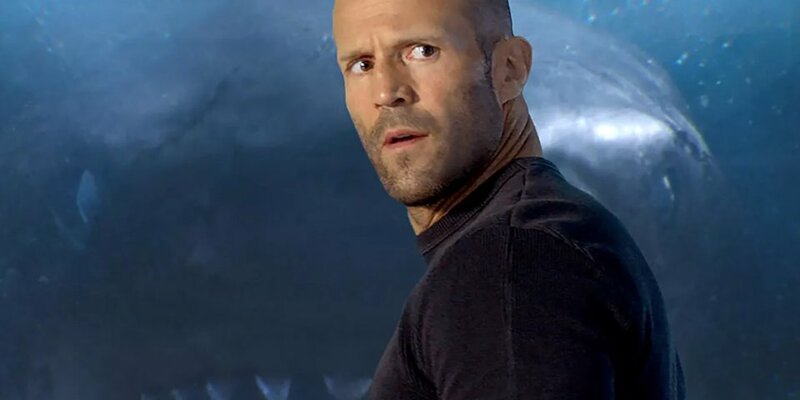 Statham is the perfect sardonic hero, making flippant comments while he bravely does things which are absolutely nuts; he's particularly amusing when necessity dictates he swim up close to a shark. His final battle with the giant shark is gloriously "summer movie crazy" and quite satisfying. Statham happens to be particularly well cast for an action movie set in the ocean, as he's an experienced swimmer; for those who might not be aware, earlier in his life Statham was a competitive amateur diver representing Great Britain. Here's some YouTube footage of him diving at the 1990 Commonwealth Games. I also liked Bingbing Li's Suyin; she and Jonas have a nice joking rapport. While Jonas must rescue her a couple of times, she's very brave and resourceful in her own right; indeed, all of the women in this film are supersmart and courageous, which I appreciated. Rainn Wilson is amusing as the billionaire financially supporting the research station, who is at times monumentally stupid yet occasionally manages to have a good idea. Page Kennedy is also funny as the crew member who simply wants to get away from the running possibility of turning into shark food, yet he can't quite seem to manage it. 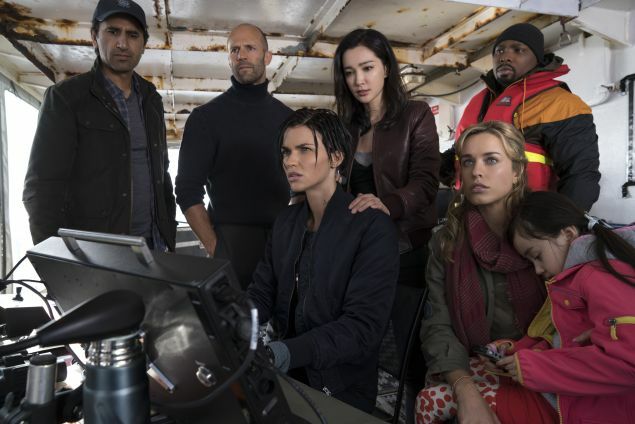 The supporting cast filling out the research station's multiracial, international crew includes Ruby Rose, Olafur Darri Olafsson, Masi Oka, and Raymond Vinton. The movie runs a well-paced 113 minutes. The film was attractively shot by Tom Stern. I happened to see the movie on a giant Cinemark "XD" screen so I really got a chance to appreciate the movie's look. Parental Advisory: This film is rated PG-13. There are a number of "jump scares" and several characters die, but it's not particularly bloody. It's not for little ones, yet tame enough for a viewer like me. Recommended for anyone looking for enjoyable summer movie escapism. I couldn't figure out the trailer, whether this was a serious action movie, a horror movie, or a comedy. Sounds like it's a bit of all three!! I love Jason Statham, so I am totally sold on this by your review and going to go see it as soon as possible!! Sounds like a really fun time. I am particularly pleased it is not a gruesome gory movie, and it sounds like I could even take my nephew to see it. (Also, I think you've sold me on seeing the Fast & Furious movies. I have yet to see one of those (kind of surprising) but now I'm thinking I really need to sit down and devour that series. I can't recall how old your nephew is now but if he's a bit adventurous he would probably enjoy it. My boys would have been OK to see it at a pretty young age (the younger one was always focused on how the special effects worked LOL). OTOH, my younger daughter would have had nightmares for years if she saw it at a young age, so it really depends on the individual child! 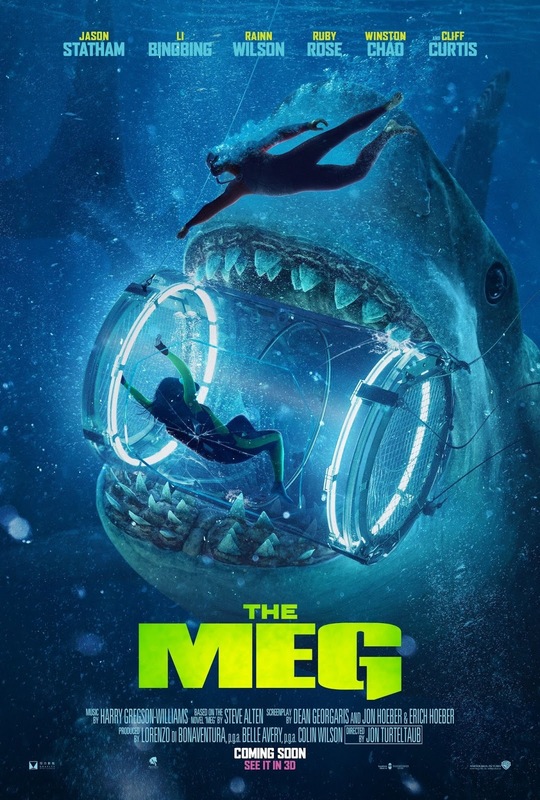 I'd love to know your final verdict on THE MEG. And I think it's great you're considering seeing the Fast & Furious movies! Just be aware going in that while the story continuity and traditions carry on from the very first film, the earliest movies are different in style from what the series became around No. 5, when they turned into what I like to describe as "Marvel movies with cars." I like all the films, they're just different. The additions of Dwayne Johnson and Jason Statham were inspired, and Kurt Russell and Scott Eastwood have also joined the cast. I suspect you will enjoy them, especially as the character and story continuity is great over many years. Do let me know!! Great review Laura! Carlos saw this the other day with his Movie Pass.